While increasing the production of scientific research was not high on the list of reasons for legalizing marijuana in Canada, it might prove to be one of its more important effects, writes Amanda Siebert, author of the Little Book of Cannabis, in the New York Times. As NPQ covered, the Canadian parliament approved legalization in June; legalization took effect October 17th. Siebert notes that Canada is already a ground-breaker in clinical-based research. 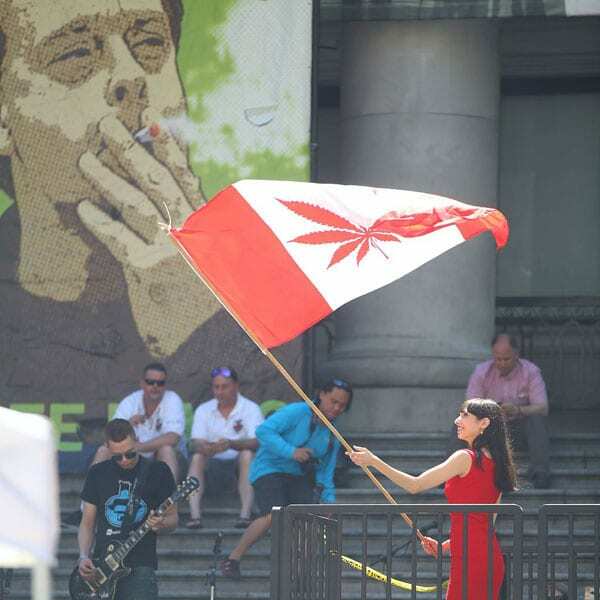 In 2001, Canada became the first country in the world to approve the medical use of marijuana. Siebert adds that it was a Canadian team in 2011 that published the first sequence of the cannabis genome. Under Canada’s newly approved Cannabis Act, scientists wishing to cultivate their own plants can now simply apply for a specific class of license, since restrictions on the distribution of narcotics are no longer applicable. Already, the Canadian Institutes of Health Research have provided grants for 14 studies. The studies funded include such health topics as whether cannabis use benefits or harms youth at high risk for psychosis, impact on mental health, and, importantly, whether cannabis use might benefit patients suffering from the overuse of opioids. Additional studies the Institutes have funded are more social in nature, seeking to examine the impact of cannabis at school, at work, and for drivers behind the wheel. In the private sector, Siebert writes, hundreds of firms are seeking licenses to test cannabis-based products, typically for health-related uses. Additionally, Canada is becoming an international supplier of choice for marijuana-related research internationally, supplying researchers in Europe, Israel, and Australia, among other places. Canada has become “the de facto source of research-grade cannabis around the world,” contends Philippe Lucas, who directs research for the Canadian producer Tilray, which has completed exports to 10 countries. Jonathan Page, a Vancouver-based plant biologist and a leader of that 2011 cannabis genome project, says he expects scholarship to advance much more rapidly post-legalization. In June, Page sold his laboratory, Anandia, to Aurora Cannabis for CAN$115 million (US $88 million), where he now serves as chief science officer, overseeing some 40 graduate-level researchers.